Content marketing can go by a lot of different names such as private media, branded content, customer media and so on, but they are all essentially content marketing. This is probably one of the best ways to make sure your marketing is being truly effective. One definition of content marketing is: a technique of making and distributing valuable and relevant content to bring in a much defined target audience with the over all objective being the creation of sales. Basically this is a way to reaching out to your customers and potential customers in a way specifically designed to attract them to you and keep them coming back. Content marketing is all done without overtly trying to sell a product; it is intended to educate and inform the customers. With typical marketing, the goal is to make a sale and the product or service is the main point of the approach. Content marketing is very different from this approach and has proven to be very effective. The idea around content marketing is to deliver consistent and useful information to the customer. In return, they will reward the company with their business and, over time, their loyalty to the brand. This form of marketing creates a bond between the customer and the company. This bond is a very hard one to break and results in ongoing business over time and a loyal customer. Traditional marketing is becoming less and less useful as customers are able to skip commercials or change the channel on the TV. Ads in papers and billboards are not interactive and provide no real help to the customer. Pop-ups on the Internet are another way advertisers try to market their products but this can be ineffective as more and more people use their pop-up blocking tools on their browsers to avoid these invasive marketing tactics. Content marketing breaks the mold completely and as odd as it may seem, the customer is the one who searches out the information they need. Not only do they remember where they found what they needed, they remember who provided the useful information as well -and this is where the marketing comes in. Potential customers will buy from a company they trust and feel has the same interests as they do. This is why providing helpful advice and information is so very important to this marketing strategy. Most of the time, the people reading information on a web page don’t realize they are being marketed to as they read the content. Recent studies have shown 70-80% of people who were surveyed, felt more comfortable buying something from a company they trust. 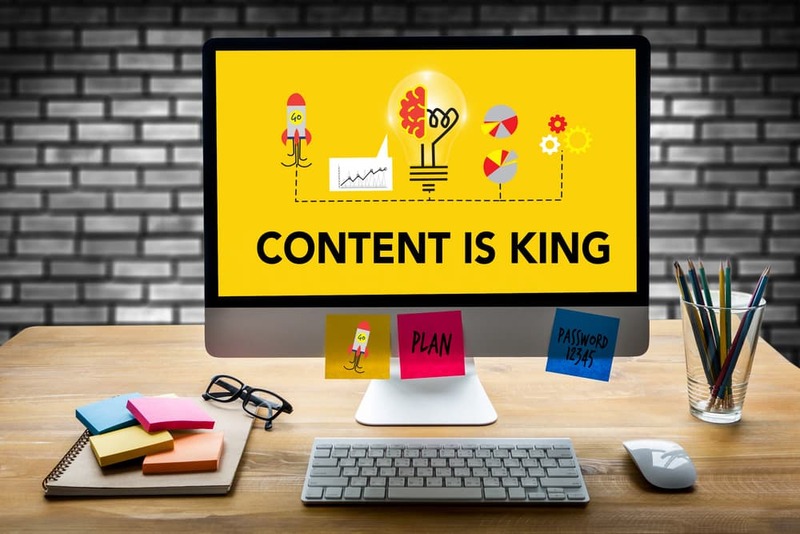 Content marketing builds trust, because the customer begins to look forward to your next content installment and may make decisions based on the information given.